This is one of funnest and most rewarding days you will have in your life! 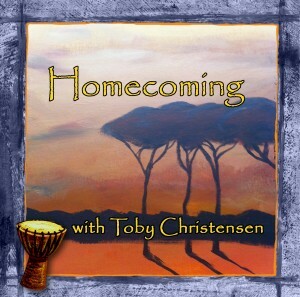 Toby Christensen’s 5 Element Drumming has been developed through years of study with tribal leaders and elders from the Dagara tribe of West Africa. Since 1991 Toby has worked with Dagara Elder Malidoma Some` in translating tribal wisdom and tradition into Western language so people in the West can receive the healing wisdom of Africa. Drumming is the language of the soul. This non-verbal communication decodes the confusion of our minds and speaks directly to your heart, bringing transformation to your life on many levels. Being in harmony with the elements through drumming puts you in harmony with yourself, your community, family and the world. 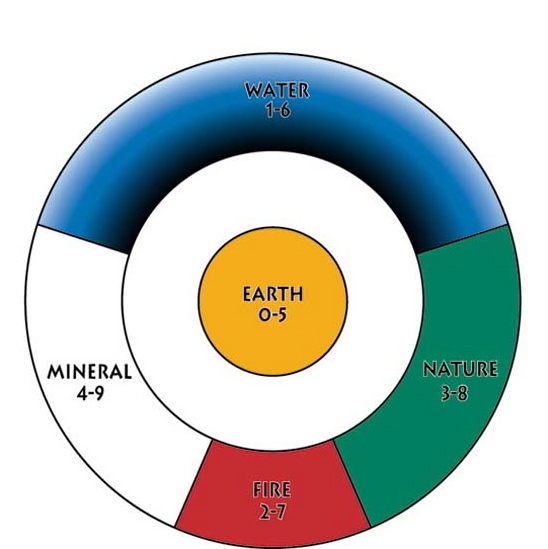 Based on a 5 Element system comprised of Fire, Water, Earth, Mineral and Nature this age old system brings balance, healing and transformation. Each rhythm calls to the energy of each element to enhance your quality of life and connection to those you drum with. This workshop is fun, entertaining and will enrich your life. How would you like to make an extra $5,000 to $10,000 per year having fun and teaching people how to drum? In this workshop you will learn how to lead your own 5 Element drum circle, how to market your skills and how to maintain an ongoing community of drummers. This event will provide a launching pad for you to make a difference in the world. I have been leading drum circles for over 20 years and I am happy to show you the way I have been successful in uniting people from all walks of life around the drum. Change your rhythm and change your life is the fundamental promise of my work. Combining ritual with drumming takes it to a whole new level! In this workshop you will review the powerful 5 Element drum rhythms and how to apply these rhythms to overcome difficulties and set the course of your life in alignment with purpose. You will also learn the fundamentals of therapeutic drumming to complement the energy of each of the elements and apply them in a way to further empower your life’s purpose. In addition, you will learn to add the component of ritual to the mix which will clarify your intention and amplify the beneficial influence of the 5 element rhythms. This event will create a compelling and moving influence in your life where you can bring about the physical, mental, spiritual, and emotional changes you need and desire. These practices changed Toby’s life helping him discover his purpose and mission in life. They will yours as well! Your job got you down? Ready for a career with purpose, fulfillment and fun? Join Toby for this dynamic workshop where you will learn the fundamentals of Sound Therapy. In this workshop you will learn how to incorporate different sound instruments into your life, helping you to provide immediate and permanent balance and realignment to all systems of the body for you and your clients. There will be skill development, assessment protocol, and intention setting practices along with other teachings to get you ready for a new vocation! Upon completion of this course you will have a fully established protocol and appropriate knowledge of sound therapy to begin a basic practice as a Sound-Therapy Practitioner. You will be able to move on to the “Mastery of Sound Therapy” where you will then qualify as an instructor for this course. To learn more about sound healing and the way the drum can be used, click here to order your 5 Element Drumming DVD/CD combo and learn the 5 Element system in advance! According to the world famous anthropologist Michael Harner “The power of the shaman is in direct proportion to the relationships they build in the spirit world”. In our two days together you will learn the skill of safely establishing and enhancing these relationships. These tools are very helpful for anyone, especially if you are a healing practitioner. They will help you stay strong, healthy and prevent energy vampirism and attachments from energies and entities looking for a place to land. As you learn to maneuver in the world of the shaman your light gets brighter and the distractions of the ordinary world affect you less and less. Learning these skills can be a game changer to boost your confidence, amp up the efficacy of your work and the quality of your life. Because of the intimate nature of this work I keep these workshops small. So please contact me to see if you are a match for the program. You can click the Contact Toby link below. Get M.O.V.E.ing From Where You Are To Where You Want To Be! You know you have it in you but haven’t quite found it yet? …it is ime for M.O.V.E. This is a one day intensive that starts with a series of questions and ends with a crystal clear vision and plan to get you to your desired outcome. If you are ready for success and are willing to do the work to achieve it, M.O.V.E. is for you! Have you experienced loss or trauma that you just can’t shake off? Are you paralyzed with depression, sadness, or chronic misfortune? Do you find yourself in a sea of despair with no hope in sight? I will guide you through a process were you can acknowledge, experience, and finally release your sadness and grief. This event is an experience, a journey of self-discovery and self-mastery creating a sense and perspective far greater and deeper than what you had before. In this group setting you also experience the compassion and support of community as you move from grief to comfort, strength, hope, and joy. The results from this positive experience are freedom from chronic grief and sadness, release from depression and hopelessness, freedom from thoughts and experiences of the past that have kept you imprisoned. Freedom, joy, and hope! We rely on an accurate attendance count to make important arrangements for our workshops. If an attendee needs to withdraw from a workshop, they must inform us in writing via email or fax no later than 30 days prior to the first day of the scheduled workshop. The Healingdrummer.com will confirm the receipt of the cancellation within three business days. For any cancellations that are made more than 30 days prior the workshop, you will be charged a non-refundable administrative fee of $100. Cancellation requests made between 7 and 30 days prior to the start of the workshop will be charged a minimum of 50% of the original workshop fee. No refunds will be available for cancellations within one week of the workshop. Please take this into account when you sign up for a workshop. Workshop registration is transferable to another individual should you choose to withdraw. We reserve the right to cancel or reschedule any workshop for any reason, including canceling a workshop that does not meet minimum registration requirements or canceling a workshop due to inclement weather. If we cancel a workshop, paid registrants will be given full refunds. 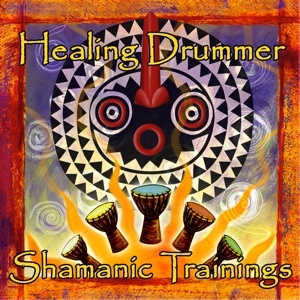 Rescheduled workshop information will be posted on www.healingdrummer.com. Notice of cancelation of an individual session must be given in writing or email 48 hours before the scheduled time. A full refund will be issued upon receiving proper cancelation notification.